Ramadhan is the holy month which is full of miracles, bless and story. To me, Ramadan is close with many stories. I had experienced many memories. There was a cheerful Ramadan when I was still 6 years old and tried to do fasting until Maghrib. There was the impressive things, although it scratched a pain in my heart when Ramadan came. Maybe three years ago, my ex confessed his cheating with another girl and he did it before we would break the fast. Every memories has a part. But in this Ramadan, I just miss my Mom’s food. Working and getting busy even Ramadhan comes never give a problem to me. Since I got a job and decided to stay at the kost, separated from my family’s house, every Ramadhan always gives me the new yearning. It is my mosque’s sound, the children happiness when they wait for adzan’s voice, also my Mom’s own recipe. When I stayed outside home, I saw a kid who accompanied by their mom to go to the mosque or a family that go to the restaurant together, could make me feel envy. Yea, I just a mature girl whom getting trapped in a children ego. Mom’s food always be my favorite. And with the business also the task at the office also my writing’s deadline, somehow I can be sink into my own world. Time warp, I feel it in every path. And when Friday comes, I will be so happy. I love my job, but only in this Ramadan I want to go home as soon as possible every weekend. Listening to my Mom’s loudly voice directly, not by phone, it’s so interesting. My Mom will cook my favorite food and I forget my burden for a while. No matter how old I am, I always consider Mom’s food as the best thing in my life, especially in Ramadhan. Those belonging food not only make my stomach full but also could give me a warmness. It is home, really home from my Mom’s love. Most of the children adore their moms' dishes. The taste is unbreakable. 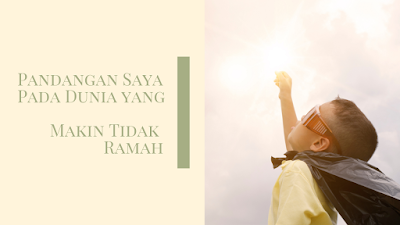 Hopefully, you become more cheerful and peaceful in this Ramadan. And...also have a better relationship with a boyfriend. Thanks for sharing. Yes, indeed mom's cook is the most wonderful and delicious one, no matter what.